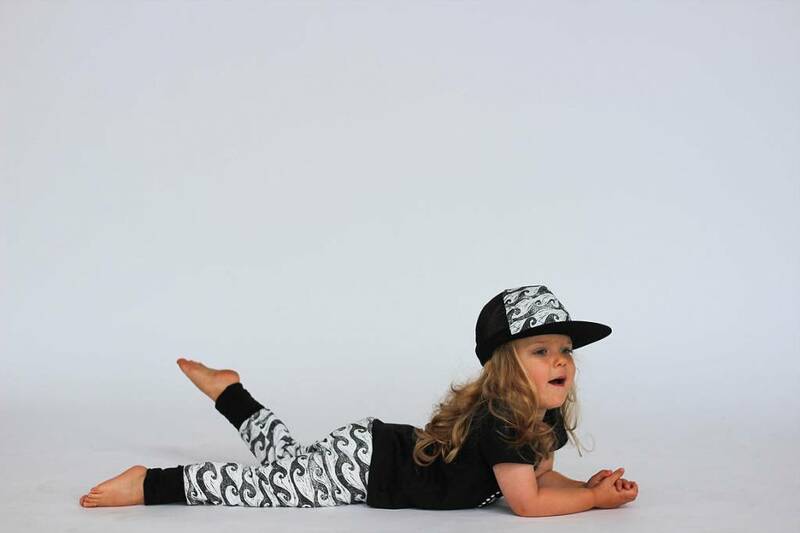 West Coast Waves print grow with me leggings in Organic cotton, by Hey Baby. 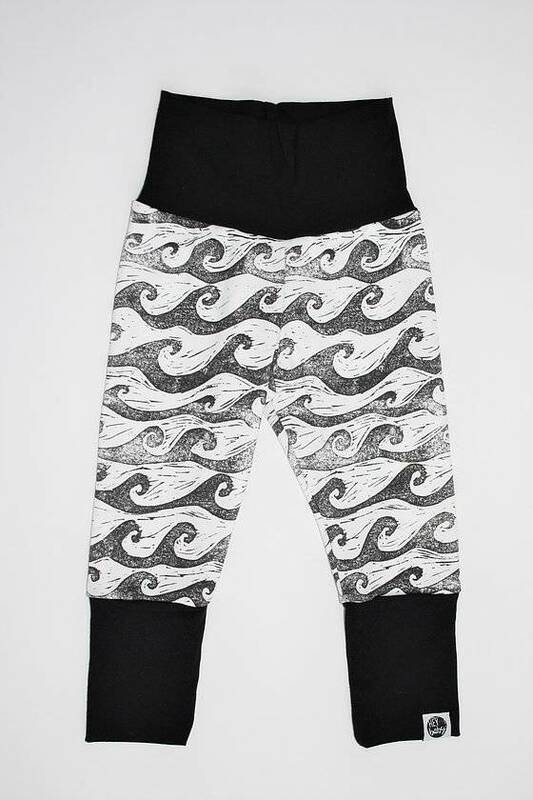 These tubular West Coast Waves, grow with me style baby leggings, have extra long fold-down ankle and waist bands. 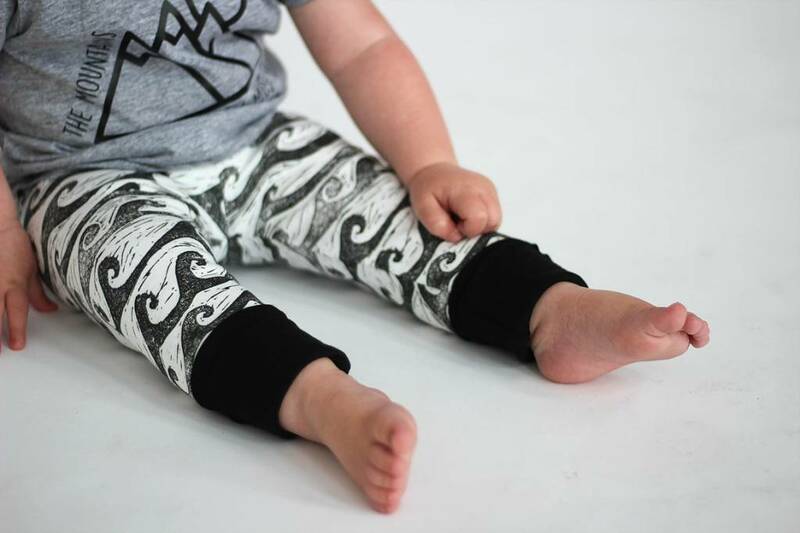 These leggings can be worn on a smaller child with bands folded all the way, and as the child grows the bands can be unfolded. 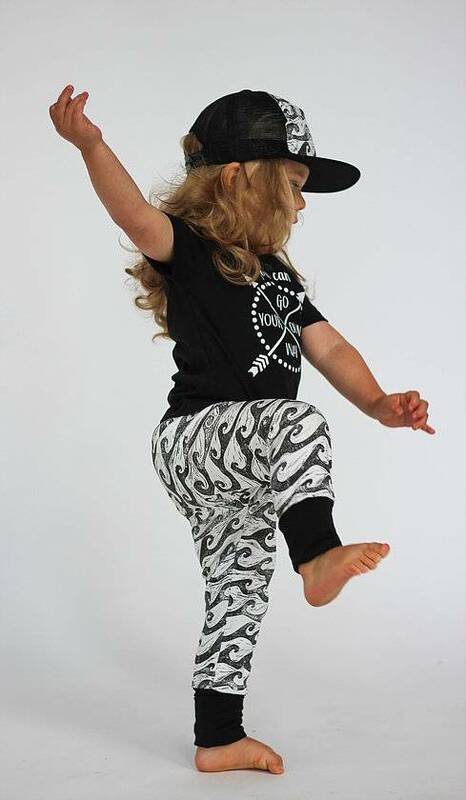 All seams are professionally finished, both inside and outside the garment with 100% GOTS certified organic cotton print, and bamboo trim. Because these hats are hand made, each pattern placement will vary. Please wash in cold water and lay flat to dry (do not put in dryer). Made by hand in Victoria, BC by Hey Baby.